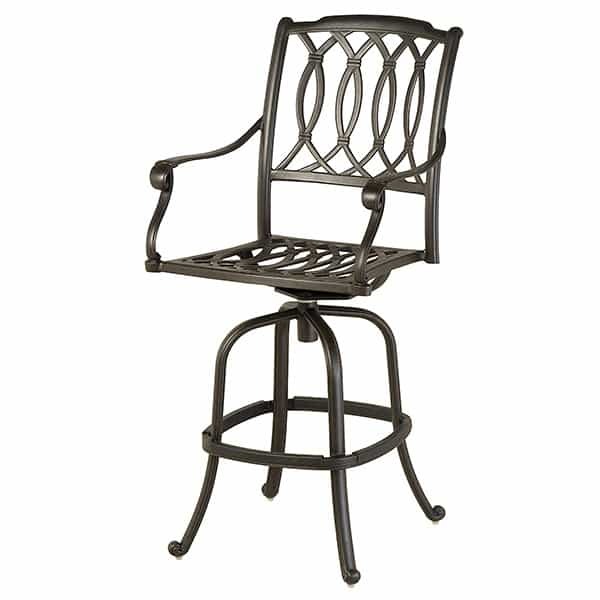 While the classic design of the Mayfair Bar Height Dining Collection showcases enduring style and ageless antique furniture motifs, this patio furniture offers complete outdoor function, with a baked-on powder coat that will resist damage from rain and snow. Leave these bar stools and pedestal tables outside without fear of weather damage year round; the eight-step finishing process grants Hanamint the confidence to offer a ten-year warranty on each piece found within the Mayfair Collection! Perfect for a balcony or deck with a view, bar height patio furniture allows you to look above a railing or over a balustrade while sitting down. 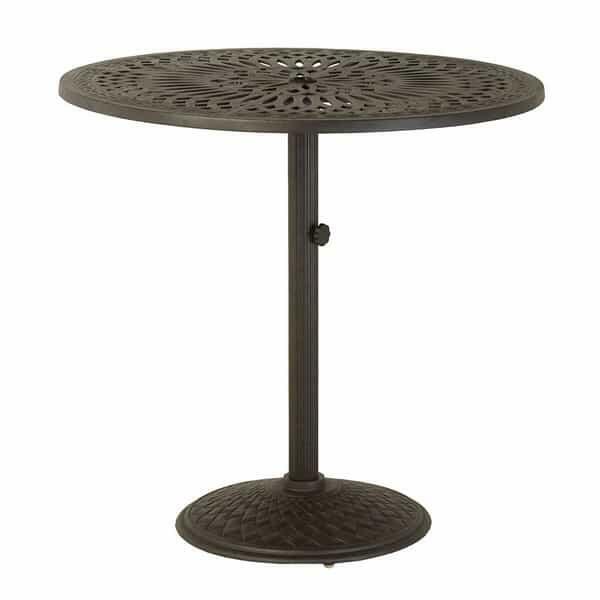 Purchase a set of four bar stools for your outdoor bar, or pair a few bar stools with one of the pedestal tables for a heightened dining experience out on your patio! W 24.5" x D 19" x H 49.8" LBS 25 SEAT HEIGHT 29.2" ARM 38.4"